Here's what you need to know now for Tuesday, Dec. 5. The markets continued to sell off on Tuesday as utilities, basic materials and consumer stocks lagged. One sector left out of the loser bin on Tuesday was tech as the industry rebounded slightly, but not enough to regain recent days' losses. Time to buy or just a brief glimmer of hope before a larger downturn? Jim Cramer weighs in here. Amid the market turmoil, there is also turmoil unfolding at Barnes & Noble Inc. (BKS - Get Report) as the company's founder and chairman seeks to defend the bookstore chain against activist investors pushing for a deal. Barnes & Noble founder Leonard Riggio hiked his stake in the bookstore chain by 1% on Monday, Dec. 4, to 19.3%, leading to speculation that he might be supportive of a go-private plan offered up by activist investor Tom Sandell and his Sandell Asset Management Corp. In other brick-and-mortar news, TheStreet sat down with Lee Bird, the CEO of At Home Group Inc. (HOME - Get Report) . Bird explained how the $1.6 billion-in-market-cap home decor retailer has managed to grow net sales by 25% in the third quarter, without an e-commerce platform. Be warned, however, Home Group is down about 6% on Tuesday after spiking about 25% since the strong earnings report last week. It's still almost doubled on the year. While you may have missed Home Group's run, you certainly haven't missed the debacle that is Uber Technologies. The ride-hailing service has taken it on the chin lately as PR nightmares wreaked havoc on its valuation. Now, with an investment from Japan's Softbank on the table, it's no surprise that some investors are ready to sell. TheStreet also sat down with one early Uber investor to get the skinny on why now is the right time for him to sell. For those of you that have cashed in your bitcoin amid its recent run, don't roll around in your profits just yet. The Internal Revenue Service recently won a lawsuit against Coinbase, one of the largest Bitcoin exchanges, requiring it to hand over records relating to users who conducted Bitcoin trades worth more than $20,000 dating from 2013 to 2015. So what do Bitcoin investors need to be aware of? TheStreet has your playbook. The movie theatre business has seen hardships as the stay-at-home economy has made much of the experience of movie going obsolete. As the industry struggles, consolidation has taken its course. On Tuesday, U.K.-based theatre operator Cineworld Group plc acquired Regal Entertainment Group (RGC in a $3.6 billion takeover to create the world's second-largest cinema operator. Regal, like industry giant AMC Entertainment Holdings Inc. (AMC - Get Report) , is a hodgepodge of a number of different theatre operators from across the country including Regal, United Artists Theatres and Edwards Theatres. United Artists traces its beginnings to an early 20th century production company founded by a number of big name celebrities of the era including Charlie Chaplin. 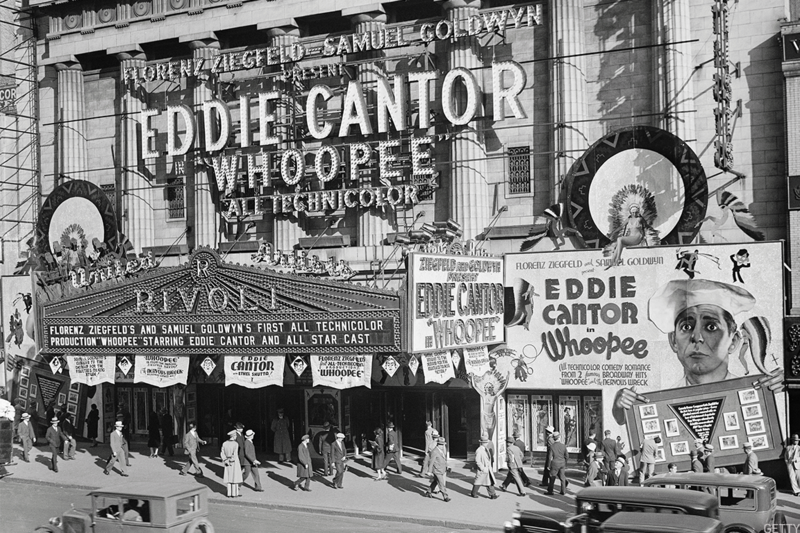 The namesake "United Artists" can be seen above at the Rivoli Theatre in New York City in 1930.